Social learning towards a sustainable world – open access at last! 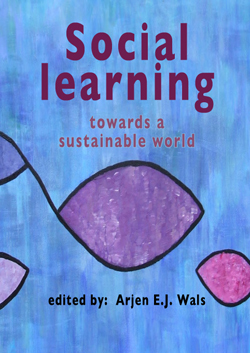 Wageningen Academic Publishers has released the e-version of “Social Learning towards a sustainable world” as an open-access book that can be downloaded for free by anyone with a computer and access to the web. This is a result of the book being a ‘top seller’ for WAP three years in a row. Should the latest book in the same series “Learning for Sustainability in Times of Accelerating Change” become as successful this book too will become open-access in all likelihood in due time. Feel free to share the pdf with others of course. This entry was posted in learning, sustainability and tagged open access by arjenwals. Bookmark the permalink. How about coming to the next Caretakers conference and give us an update on your latest adventures and how CEI can help with the effort you are leading. You are doing exciting work, your old friends and new CEI members need to learn from your leadership activities. Besides we miss you, your ideas, and your leadership skills. Thanks Wayne. I am so impressed that you guys are still so active and going strong. Truly remarkeable. I just came back from Beijing where a HongKong delegations asked me: “Have you heard of Caretakers the Environment?” Made my day! Indeed I do hope to join the conference again some day.